Japan is a great place if you like to drink. Izakayas, or Japanese-style pubs, aren’t hard to find. They’re fun, rowdy places to drink the best of what Japan has to offer along with some delicious food. If outdoor drinking is your thing, you’re in luck. It’s legal. 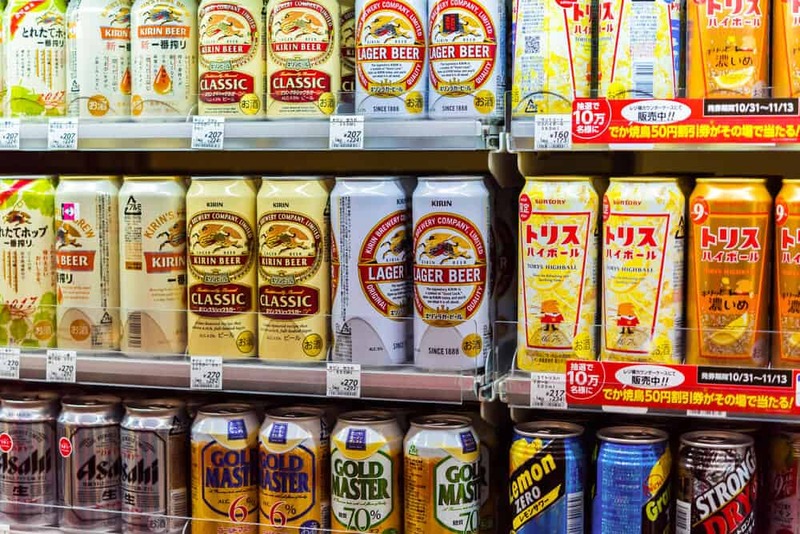 Just head to the closest convenience store or supermarket and load up on beer or chuhai. The best part about Japanese alcohol is the sheer variety – there’s a drink for everyone to enjoy. If you like to drink (even a little), check out this list of the best Japanese alcohols you should try. Sake is known around the world as Japan’s representative drink. Sake gets made with fermented rice, water, and koji (a type of mold spore). You often hear sake called “rice wine.” The fermentation process is actually more like beer. It’s produced in breweries, of which there are about 1,800 in Japan. 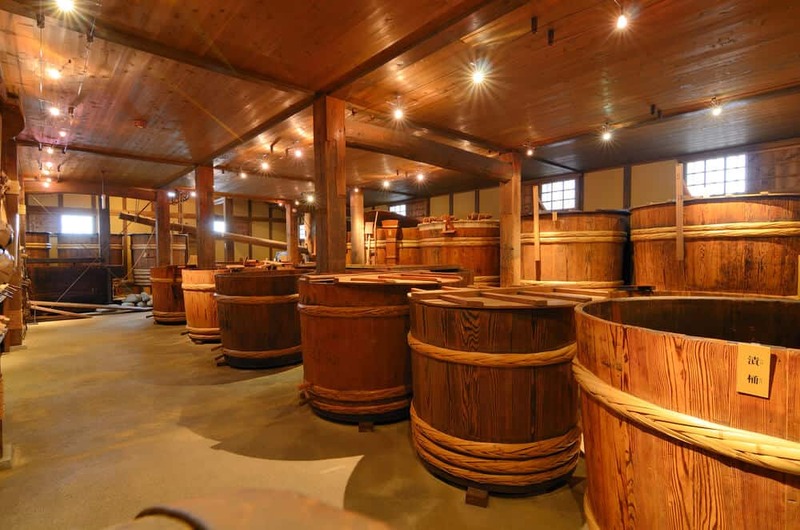 The sake brewing process uses a special type of rice called sakamai (酒米). First, the rice gets ground, washed, and steamed. Then the rice gets mixed with koji, yeast, and water. The mixture ferments for some time – typically about 3 to 4 weeks. After the fermentation, more rice, koji, and water go into the mix. The sake gets aged at this point – usually for a few months. Finally, the sake gets filtered and bottled. The whole process takes 5 to 7 months from start to finish. The four to six-month aging process during production is all the sake needs. Any aging beyond that hurts the taste. Look at the production date on any bottle you might buy. You don’t want to buy a sake bottle more than a year old! Japanese people consider sake the national drink of Japan. People enjoy sake at izakayas (local bars) or at home. It’s also used for special ceremonies, like weddings. 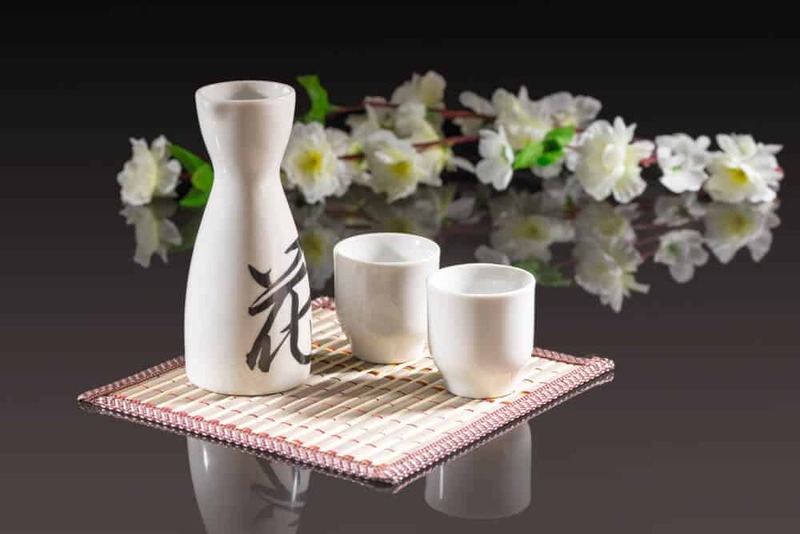 It’s customary for the bride and groom to sip sake out of three different bowls. The tradition symbolizes sharing the joys and sorrows of life as a married couple. It’s polite to serve someone when you drink with them. The younger person usually pours first. Hold the cup with one hand when someone serves you. Place your other hand under the cup. Make sure you take a sip before you place your cup on the table. Pour sake with both hands on the jug or bottle. This rule gets relaxed a bit in less formal settings. Your companions will want to fill your cup when it gets empty. Slow down and take smaller sips if you don’t want to drink much more. This way your cup gets refilled less often – without any hurt feelings. Shochu is kind of like a Japanese-style vodka. Shochu, though not well known outside of Japan, is actually more popular than sake. It’s also typically stronger in alcohol content. 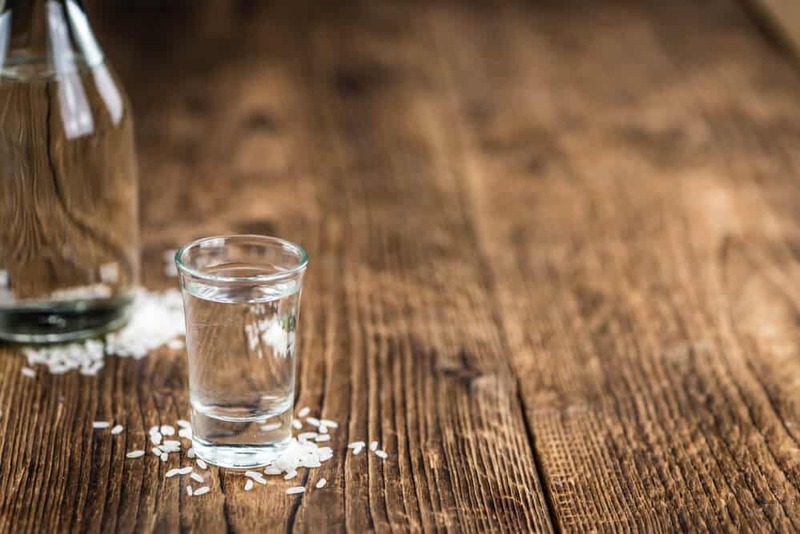 Like vodka, shochu can be made from a variety of ingredients. It’s commonly distilled from sweet potatoes, barley, rice, buckwheat, and sugar cane. Because of the variety of ingredients, shochu comes in all kinds of different flavors. People often rave about shochu’s health benefits. Many Japanese women drink shochu because of the low-calorie content. Shochu stimulates an enzyme called urokinase. This enzyme helps your body break up blood clots. The reasoning: shochu gets distilled without additives, so it doesn’t contain impurities. Impurities cause hangovers. Some people might disagree… namely, people who had hangovers after drinking shochu! Also, please note – no one can name a scientific study supporting this claim. I guess most people make this claim from experience! As a general rule: the lighter and purer the drink, the less you feel it the next day. 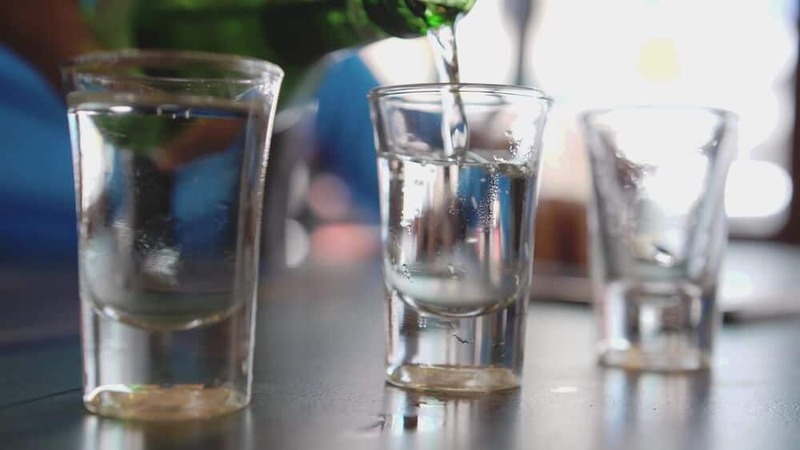 Less additives lead to lighter hangovers. Shochu has a light color and typically doesn’t have any additives. I don’t know whether shochu gives you no hangover whatsoever…. I’ve never drunk that much of it. I do know if shochu does give you a hangover, the hangover will be less harsh than if you had a darker or more impure drink. Chuhai combines the words “shochu” and “highball.” It’s one of the most popular drinks in izakayas across Japan. The drink mixes shochu with fruit-flavored, carbonated soda water. Chuhai is a tasty cocktail… even for those who don’t like the taste of shochu. 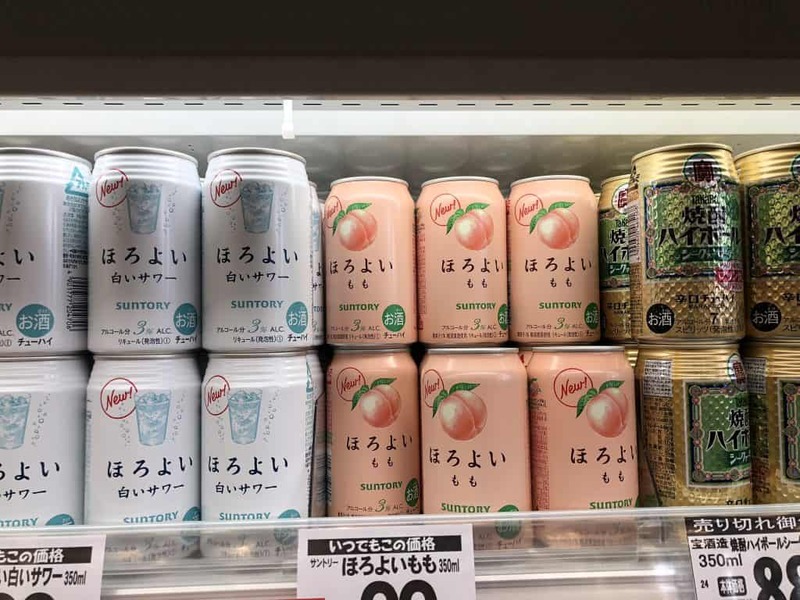 You can buy chuhai cans at convenience stores and supermarkets. The cans are perfect for outdoor parties during hanami (cherry blossom-viewing) season. You can also order a freshly made chuhai with your favorite fruit mixer at an izakaya. 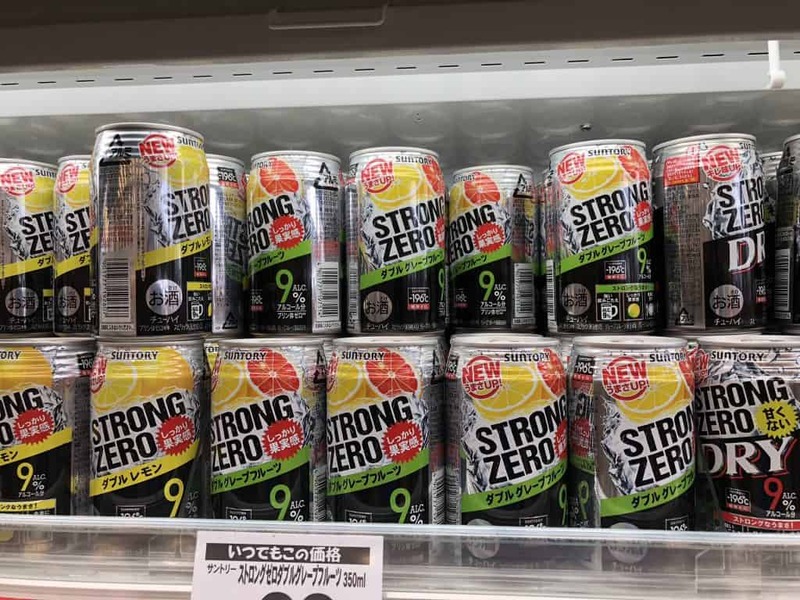 Chuhai offers a low alcohol content. It comes in a wide variety of flavors. It’s fairly cheap, as alcoholic drinks go, so it’s easy to see why chuhai is so popular. I love the Horoyoi (ほろよい) brand of chuhai. The name means “a little tipsy,” because of the drink’s super low alcohol content (3%). The company introduces new flavors all the time, but they always offer a few mainstays. My favorites are grape and peach. I suggest trying a can if you want a light, fruit flavored drink. It’s delicious! Beer outsells every other alcohol in Japan. It’s so popular it’s often the first thing people order at an izakaya – even before looking at the menu. When you use this phrase, you almost always get the draft beer on tap. The beer on tap is called “nama” in Japanese. It’s usually a light lager beer with an alcohol content around 5%. 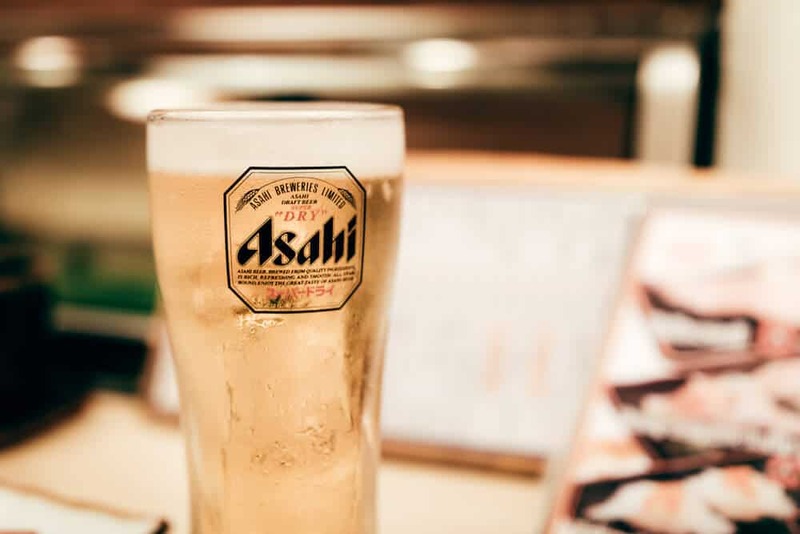 The Asahi, Kirin, Sapporo, and Suntory companies dominate the beer market in Japan. Microbreweries and craft beers have started to become popular as well. 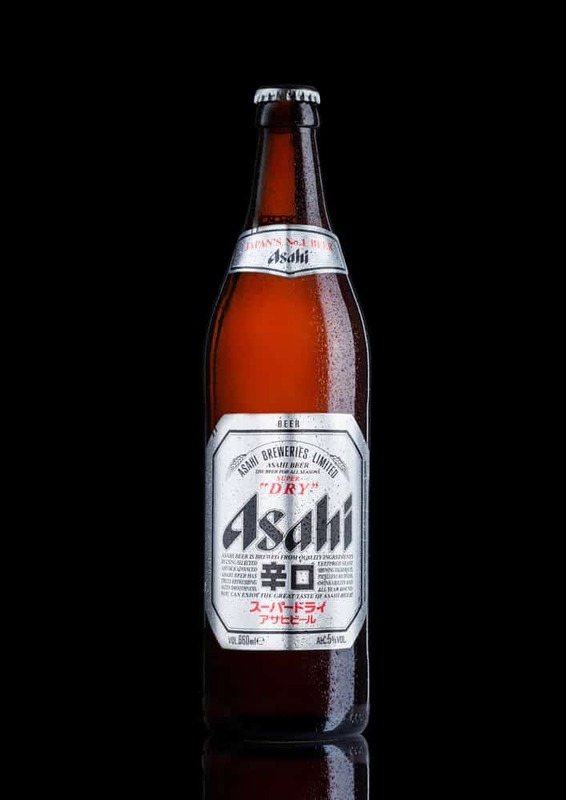 Asahi Super Dry – this beer sells more than any other. Asahi Super Dry always sells the best. It’s been the best selling beer in Japan every year since 1997. The other beers on the list change places with each other from one year to the next. Beer gets taxed according to the malt content. The lower the malt content, the cheaper the drink. Because of this unusual tax law, Japanese brewers offer “beer-like” drinks with less malt. Your standard beer, with a normal level of malt. It costs more than the beer-like drinks. It’s a low-malt, beer-like drink. Japanese brewers invented the drink to circumvent the beer tax laws. Happonshu costs less than regular beer. It gives you a very similar taste and alcohol content. Because Happonshu contains less malt, it’s a lighter beverage overall. New Genre came about in response to changes in beer taxation which raised the prices of happoshu. New Genre is made with wheat, soy, or pea spirits. The beer-like beverage contains no malt… so it gets sold at an even cheaper price! All three categories are popular in Japan. They sometimes taste so similar (especially beer and happoshu) you can’t tell them apart. 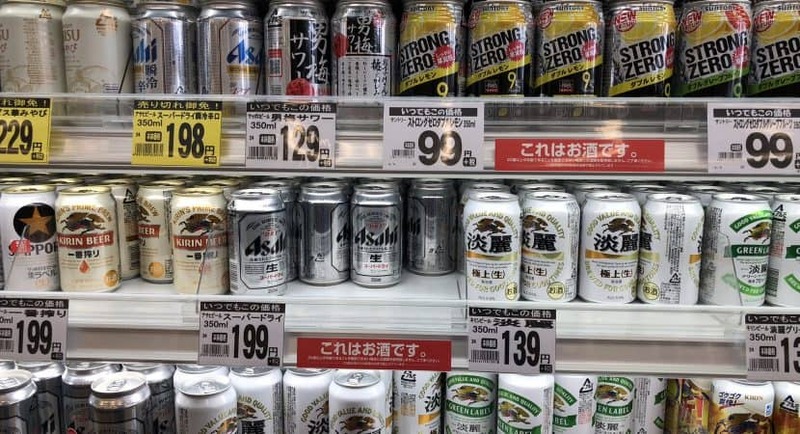 *Note – The Japanese government will do away with taxing beer-like drinks differently by 2026. The beer-like drinks will likely remain cheaper than beer until then. Did you know Japan produces world-class whiskey? 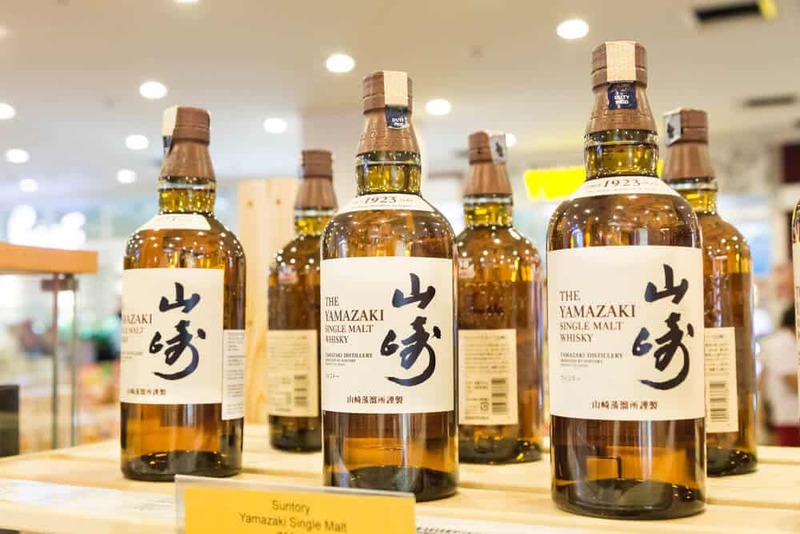 Suntory’s Yamazaki Single Malt Sherry Cask 2013 won the best whiskey in the world title in 2015. Japanese whiskey has become very popular since then. Like most things Japanese, the whiskey gets made with exceptional attention to detail. It’s made using excellent-quality ingredients, like delicious mineral water. Japanese whiskey tastes light. It gives you more subtle flavors than, say, Scottish whiskeys (although both share many of the same traits). Lots of people drink whiskey cocktails in Japan. The most well-known is the “highball,” which is whiskey mixed with soda. It’s also often enjoyed with ice – especially in the summertime, or when consumed with meals. Japanese whiskey makers know their creations get mixed with ice a lot. They take this into account in their recipes. Japanese whiskeys can withstand dilution and still have great flavor. Yamazaki 12 was the first Japanese whiskey to hit the US market about 30 years ago. It offers unique flavors like pear, apple, honeysuckle, and light oak. Nikka’s Coffey Grain whiskey tastes like an Irish whiskey. It gives off a sweet, fruity aroma, with a sweet, spicy taste. You get a delicious mix of vanilla, bourbon, and fruit flavors. 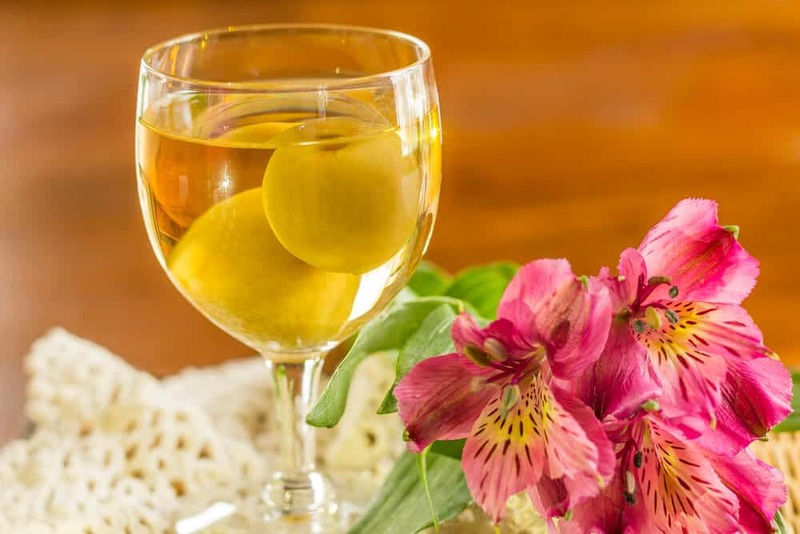 Umeshu is a traditional Japanese liqueur made from Japanese ume (plum). It’s made by steeping whole, unripe plums (pits and all) in shochu, or some other clear, colorless liquor, and adding sugar. The resulting umeshu, also known as plum wine, tastes sweet, yet slightly tangy. It’s great to drink on its own or on the rocks (with ice). Umeshu also makes a great cocktail. It mixes well with soda for a refreshing, balanced taste. You can buy canned umeshu in stores or even make your own at home quite easily… if you’re willing to wait six months or so before drinking it! 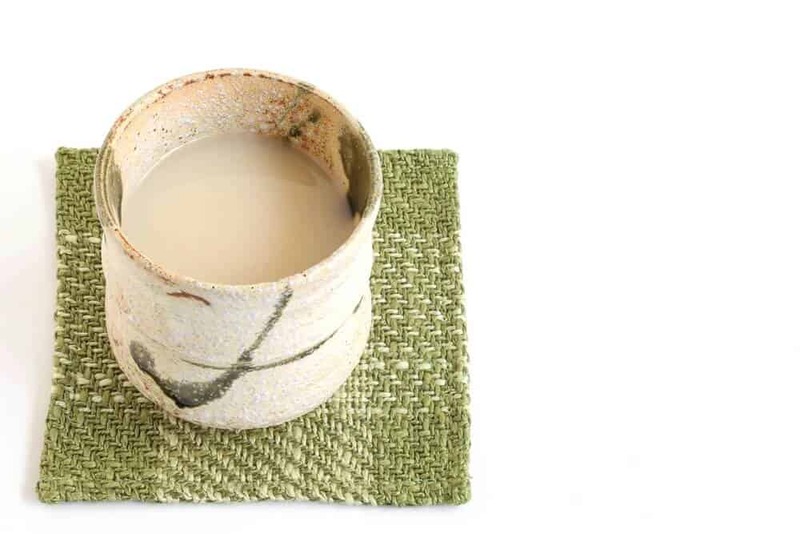 Amazake, or “sweet sake,” is commonly enjoyed as a hot drink during Japanese New Year’s. The drink really warms you up. You’ll find it sold at stalls in temples all across Japan. One made with rice koji and non-alcoholic. Both types contain rice and water. Amazakemade with sake lees is still very low in alcohol content. It’s made by dissolving the lees in hot water, after which the sugar gets added. Many kids love the non-alcoholic amazake. The drink keeps them warm on cold nights – especially on New Year’s Eve. Amazake gives you lots of healthy nutrients like vitamin B, folic acid, dietary fiber, and glutamine. This is one drink you can honestly say you drink for your health! This strong and unique alcohol comes from Okinawa. Awamori is a type of shochu made from long-grain rice. It’s one of the oldest distilled spirits in Japan. Awamori is famous for having an incredibly high alcohol content… typically in the range of 30-50%! 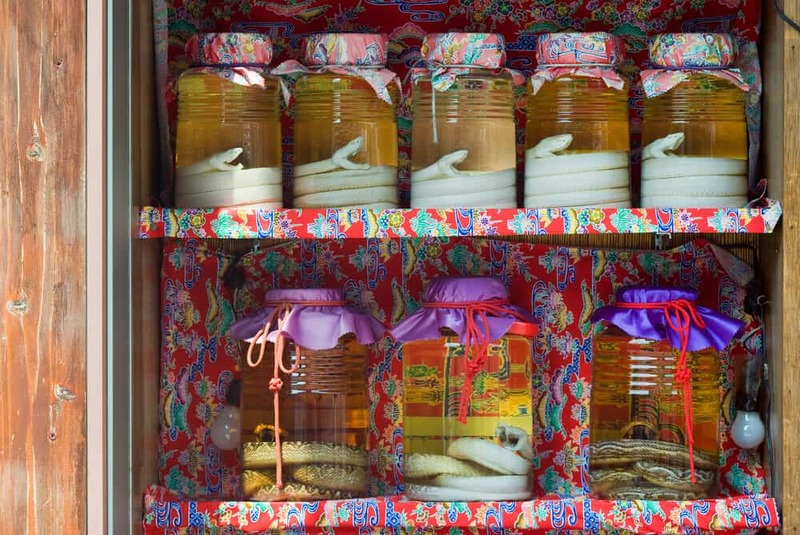 If you have ever seen bottles of alcohol in Okinawa with snakes in them, that is called “Habushu,” literally “snake alcohol.” This snake alcohol uses awamori as it’s base liqueur. It’s the drink of choice for every social gathering in Okinawa. You can usually find it wherever you find Okinawan song and dance. Black koji gets used in making awamori. The black koji gives the drink a unique and appealing flavor that sets it apart from other shochu. Like other types of shochu, awamori has a very low calorie-content… and people claim it doesn’t cause hangovers – again, not a scientific fact! The bars close at sun up, and vending machines sell beer and sake. You won’t find much social stigma around drinking and being drunk. Japan is a Mecca for alcohol lovers. Whether you like beer, whiskey, sake, or a fruity, bubbly chuhai, you have a wide variety of drinks to choose from. The Japanese izakaya culture is a high-spirited, boisterous affair. There’s a big emphasis on having fun. It’s a stark contrast to the quiet, rule-bound, and more reserved way the Japanese go about their days (in public). So here’s to drinking like the Japanese, whatever your drink of choice might be… kanpai (cheers)! What’s Your Favorite Japanese Drink? Do you like to drink nihonshu (sake) with your friends? Or are you more of an Asahi Super Dry kind of guy (or gal)? Do you go to town with shochu, or would you rather sip a nice, gentle chuhai? Let us know in the comments. Also, let us know if you’ve never tried a Japanese drink before. Which one do you want to try the most? What type of alcohol sounds the most appealing? Please let us know – we’d love to hear what you think! Don’t forget to share this article with your drinking buddies. You may have just found your next fun drink to try! I hope you have as much fun trying these different alcohols as I’ve had – but please drink responsibly. Bottoms up!